We know that the appearance of your teeth is just as important to you as their health. Your smile really tells people a lot about you, and it can go a long way in making that all important first impression. If your smile needs just a little boost to make you truly feel confident, Dr. Joy Todd and our team can help. We take a different approach to cosmetic dentistry than most other practices. Rather than giving everyone a sterling white celebrity smile, we focus on making you the best version of yourself. The results look more natural, and you’ll love what you see in the mirror every day. If you’re ready to get a smile that can truly turn heads, be sure to contact our office today. It’s amazing how just a small chip or crack in your teeth can throw your entire smile off. Thankfully, we have a quick and easy way to fix these minor flaws. It’s called direct bonding, and it enables Dr. Todd to literally sculpt your teeth into the perfect shape, size, and color. She’ll apply a putty-like composite resin to your tooth, mold it until you are satisfied with the look, and then quickly harden it with a curing light. The treatment is fast, effective, and it can easily last for 10 years with routine brushing and flossing. With just one easy visit, we can send you home with a whitening-kit that will simply blow any generic store-bought kit out of the water. 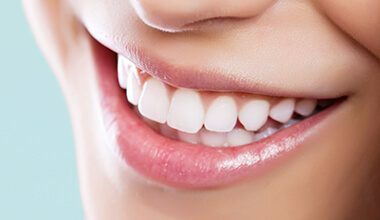 We’ll provide you with mouth trays that are custom-fitted to your exact teeth so the powerful whitening gel will be perfectly distributed on all of them. Plus, our whitening kits have a much stronger gel that you simply won’t find on store shelves. It usually takes about 2 weeks of daily treatment to see the full results, but we bet you’ll notice a difference after just one session. 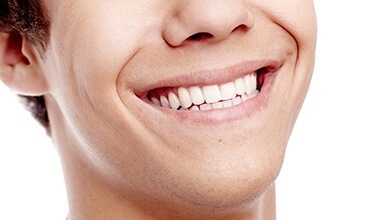 Wouldn’t it be great if you could see what your teeth will look like before you actually get a cosmetic treatment? With our virtual smile design, you can do exactly that. 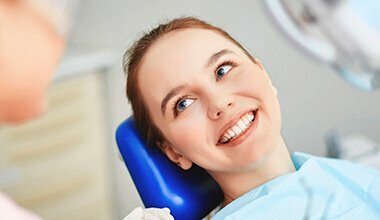 We’ll take multiple pictures of your teeth and put them into imaging software so we can show you what your results will be from particular treatments. From there, we can make any adjustments you want so that you’ll know exactly what to expect the first time you see your new smile.